What it is: - Available in denominations of $10 to $250. - Redeem Gift Cards of $50 or more for a complimentary 45-minute Custom Makeover with a Beauty Advisor. 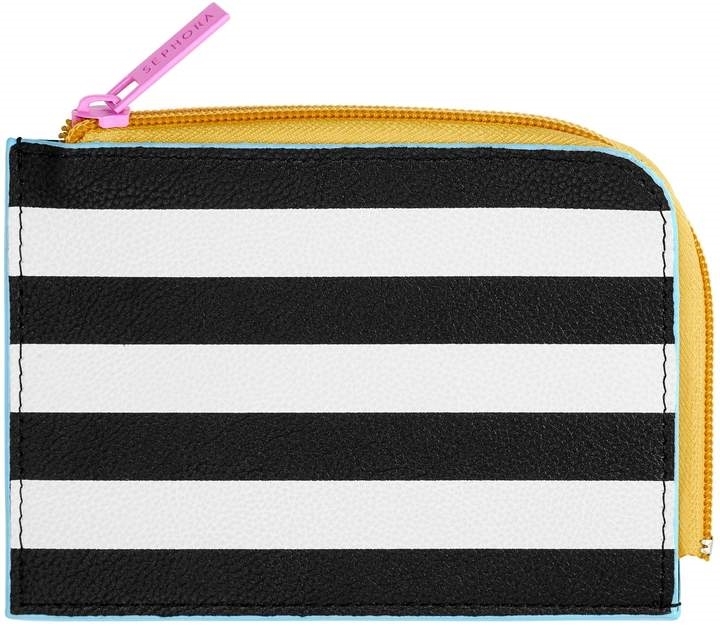 * - Includes a striped gift pouch, a pre-printed greeting, and two stickers. 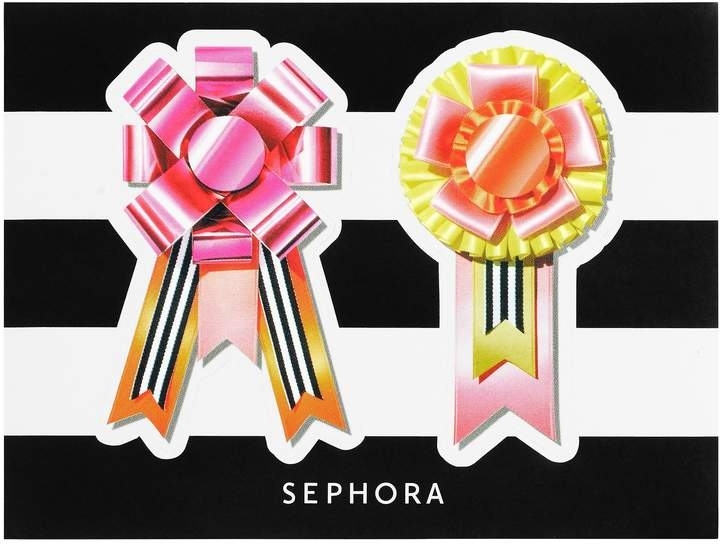 - Can be redeemed on merchandise purchases in store, on Sephora.com, on our U.S. mobile app, and at Sephora inside JCPenney stores. ** - Doesn't expire, and both the balance and transaction history can be checked online or in any Sephora store. What else you need to know: All Gift Cards should be treated like cash. They cannot be replaced if lost or stolen. Gift Cards cannot be redeemed or exchanged for cash except as required by law. 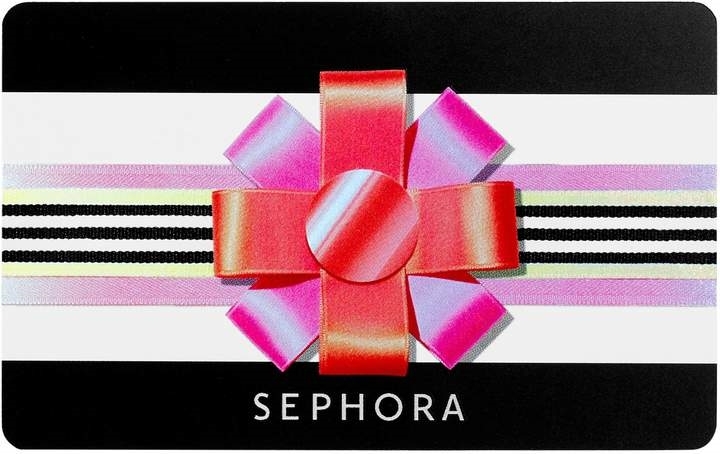 To purchase multiple Gift Cards, please call Customer Service at 1-877-SEPHORA. 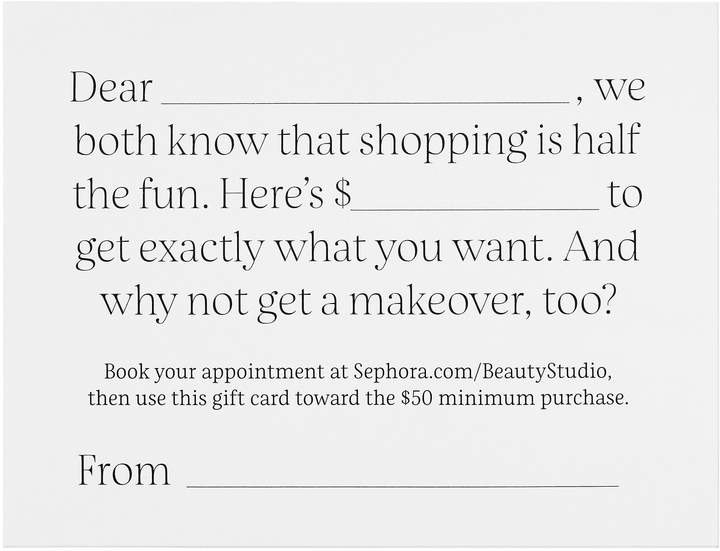 To see our full Gift Card Terms & Conditions, please visit www.sephora.com/giftcardterms. *When you purchase product or redeem a Gift Card valued at $50 or more, you are eligible to receive a complimentary 45-minute Custom Makeover. Custom Makeover must occur at the time of purchase or redemption. Custom Makeovers are currently offered in US and Canadian Sephora Stores (not including Sephora inside JCPenney). Please visit Sephora.com/beautystudio or call a store to book an appointment for a Custom Makeover. **If a Gift Card is redeemed at a U.S. Sephora inside JCPenney store, it must have been originally purchased in the U.S. Beauty Uncomplicated | What good are tons of options if you can't figure out how to choose between them? SEPHORA COLLECTION is about formulas that really deliver, paired with bite-sized bits of Sephora expertise that make all those options less overwhelming. Whether you're looking for a new color, a new formula, or even a whole new look, with SEPHORA COLLECTION it's easy to get exactly what you want.